In my previous tutorial i explained how to mine Monero (XMR) with CPU & GPU, this is good to mine with your personal PC or with a Monero mining rig. Now, in this second tutorial about (XMR) Monero mining i will be using my 6x R7 370 rig and as always i will be using again ethOS to mine Monero (XMR), i still think that mining with ethOS is the best choice ever, they included this option in their latest update. If you are new at this, also new on this blog, you should take a quick read about my full tutorial about how to build a mining rig from zero, here is the link. This rig components are exactly what i have listed in that tutorial. 1 If you don’t have a rig yet and looking to make one check this two rigs that you can use to mine (XMR) Monero: 1. Asus Strix OC AMD Radeon R7 370 4GB or 2. Sapphire AMD Radeon RX 480 8GB, ill recommend to go with the RX 480’s or RX 470’s. 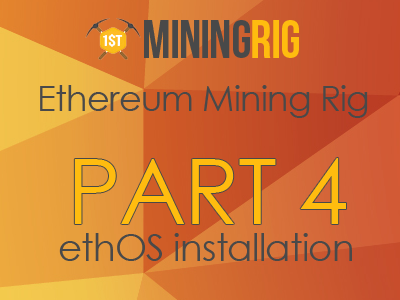 2 Now that you already have the Monero Rig ready we will need to install ethOS, click here for tutorial. 3 Make sure that you have the latest version of ethOS 1.1.8 (last checked January 15, 2017), if you don’t, then run the following command in terminal “sudo repair-ethos-update && sudo ethos-update && sleep 5 && r“, wait a couple of minutes and once the update is finished the rig will restart automatically. 4 Since we have everything ready all we have to do is to make the configuration in “local.conf” file. Type in terminal “nano local.conf” to access it. 5 First thing to add is the wallet key, if you don’t have one it can be created very easy with kraken.com, i recommend to use kraken for all of you wallet keys. 8 Before to restart make sure that you have disabled overclock for the first run, delete globalcore and globalmem and do a quick test with stock cloks. Save the new configuration and restart your rig, once you see the desktop type in terminal “show miner” to see the new Monero miner in action. 9 Here is my rig running with stock settings running with around 2000H/s ! I tried to increase the clocks but the maximum i could get was globalcore 1150 & globalmem 1500 with no mining difference. Ill be back with updates, have fun!